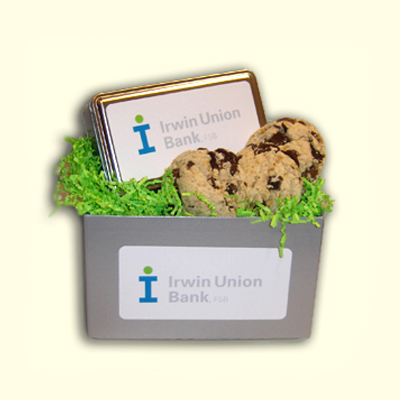 Wonderland Bakery creates Custom 4-color Corporate Custom Gifting any time of the year. Your logo or image on a keepsake filled with our Award Winning Wonderland Gourmet Cookies, all packaged beautifully in cellophane with a big bow. 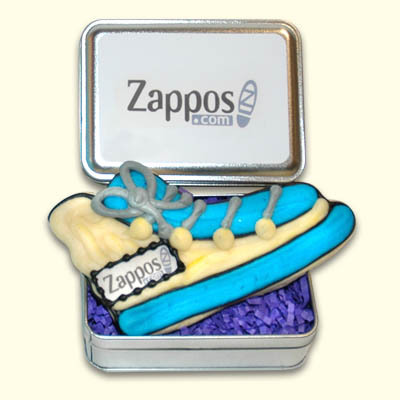 A beautiful and tasty presentation that brands your company and sends your sweet message. Send your logo in a PDF or JPEG file format. We can ship to your client mailing list directly too. For more information and to set up a Corporate Account, call or email our Corporate Branding Specialist (888) WB COOKIE.